DigiState is ready for Internet Protocol version 6 (IPv6). The addresses of the previous version of the Internet Protocol (IPv4) are running out. The situation may occur that websites could no longer be reached by a shortage of IPv4 addresses. Fortunately, IPv6 has been launched. An IPv6 address consist of much more characters than an IPv4 address so it is almost impossible to run out of this new type of IP address. DigiState is the IPv6 provider for small and midsize businesses (SMB). At this moment, internet access providers (at your home or at your office) are working on the implementation of the new protocol. To be able to visit websites that are hosted on an IPv6 address you yourself need an IPv6 address. DigiState already offers IPv6 hosting. Do you need to optimize your hosting environment for PR purposes? Let us know about it. Optionally we can either migrate your website to our hosting environment or we can build you a platform that fits your needs as well. Interested in the potential costs? Let us know! DigiState has been quite active in the field of IPv6 hosting. 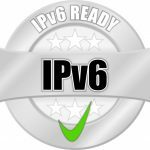 For some time now, we offer IPv6 to our customers and we enable IPv6 access to websites we host. Our customers are guaranteed their website or webshop is available through IPv6. This again emphasizes our slogan "Accessible Hosting". We would not honor this slogan if we were not reachable on the IPv6 network. Is your current website or webshop not available on IPv6 or do you want more information regarding IPv6? Does it makes sense for you to migrate to an IPv6 environment? Please feel free to contact us for tailor-made hosting advice. If anything you will is have a nice pathway to any future technical requirements you might have.